Greg Christie is a Caribbean and British trained lawyer with over 30 years experience in corporate, legal and regulatory executive management – in both the public and private sectors – as well as in law, anti-corruption, academia and entrepreneurship. As Jamaica's 4th Contractor General, he has led that country’s premier Anti-Corruption Commission for 7 years. During his tenure, which ended in 2012, he restructured, expanded and transformed the Commission into Jamaica’s most respected anti-corruption institution. In an independent poll that was conducted in 180 communities island-wide in 2011, the Commission, under his stewardship, was voted from among the country’s 7 anti-corruption institutions as having the highest level of public satisfaction in the fight against corruption in Jamaica. Mr. Christie, who has worked in 9 countries, and resided in 5, has extensive multi-jurisdictional and multi-disciplinary expertise in corporate and commercial management. He was the U.S. based Government Affairs Vice President and Assistant General Counsel for the Global Commodities Business Unit of Kaiser Aluminum, as well as the Commercial Services and Strategic Projects Manager for the company’s Alumina Business Unit. For 13 years, he was also Kaiser’s Jamaica Country Office Director and General Counsel, at a time when the company was the largest foreign private investor and taxpayer in Jamaica. As a consultant and academic, Mr. Christie has had significant exposures in Anti-Corruption, and in Corporate, Insurance and International Law. He has served as the UK-DFID-funded Anti-Corruption Consultant for the Jamaica arm of Transparency International, a UN-ECLAC Consultant on International Tax Avoidance, an Air Jamaica Consultant on International Aircraft Leases, and an EEC/USAID/UWI Consultant on International Contracts Negotiation. In academia, he has worked as the Director of Corporate, Insurance and Aviation Law, and International Law of the Sea, at the UWI, and has the distinction of writing/co-writing the UWI’s Master of Laws curricula for the latter 3 programmes. For 5 years, he was also the Director of Criminal Law at the University’s Trinidad Campus. He has worked at the region’s Hugh Wooding Law School as a Tutor in Insurance, Banking, Credit and Securities Law, and also at the UWI’s Jamaica campus as a Tutor in the Laws and Legal Systems of the Caribbean. At the outset, he was the UWI-Faculty of Law’s youngest Law Director at age 24. Mr. Christie is the holder of the LL.B. Degree from the UWI, the LL.M. Degree in Corporate, Insurance, Air and Space Law, and Law of the Sea, from the University of London, and the L.E.C. from the Hugh Wooding Law School. He holds business executive development certifications and has completed programmes at the Haas Business School, University of California at Berkeley, and the Darden Business School, University of Virginia. Mr. Christie has also received Anti-Corruption, Governance and Law Enforcement training in Singapore, and from the Commonwealth Secretariat, the U.S. State Department, Scotland Yard, UN-ODC, and the Regional Anti-Corruption Academy for Latin America and the Caribbean. He has participated in and/or made presentations at leading Anti-Corruption, Governance and Law-Enforcement events in Europe, Asia, Latin America, UK, the USA and the Caribbean. Mr. Christie, who, in 1990, founded Jamaica’s first major credit-reporting company, Credit Security Systems, is a certified ISO 9000 Quality Systems Implementer and Lead Auditor, and was credited with successfully leading Jamaica’s 2nd ISO 9002 certification programme in 1995. 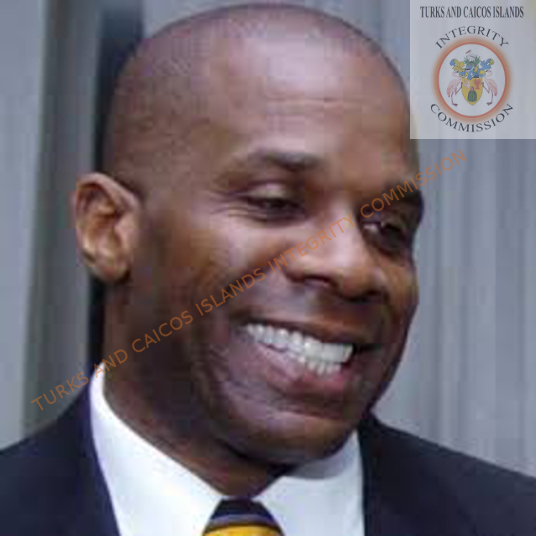 He recently served as a Board Director for Jamaica’s Factories and Agro Investment Corporations, and was the Chair of the Corporate Governance Committees for both entities. A Jamaica Government and UWI Post-Graduate Law Scholar, he was admitted into practice as a Barrister-at-Law in Trinidad in 1985, and as an Attorney-at-Law in Jamaica in 1988. Mr. Christie is a former Rotary Club Director, Secretary and Member. He is married to Janice, a Bi-lingual Administrator, who has had a long career with 4 Latin American Diplomatic Missions and 2 United Nations specialized agencies. They have 1 daughter, Natalie, who is currently the Vice-President, Global Lead Business Quality Control Reviews at Citibank, USA.